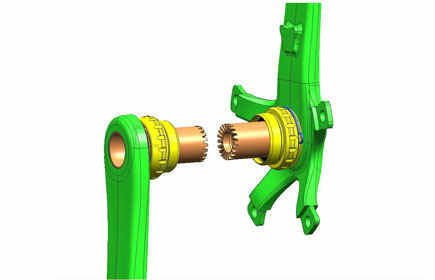 It seems we were right when we published the first rumors about Campagnolo 2007 new cranksets/bottom brackets (HERE). 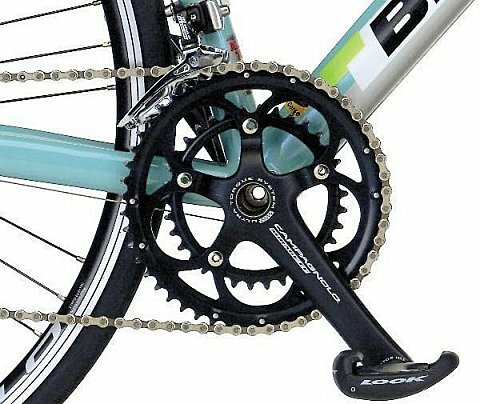 – Record cranks are narrower and flat in order to keep the Q-factor the same as the current crank/bb setup. – Chorus cranks are nearly identical to Record but won’t be hollow, Centaur and lower range cranks go to a forged alloy arm with a concave backside, in a similar shape from the front as the carbon cranks. Centaur will be available in black. – Record and Chorus brakes have hidden bolt forged in the center while Centaur are forged slightly different with exposed bolts.